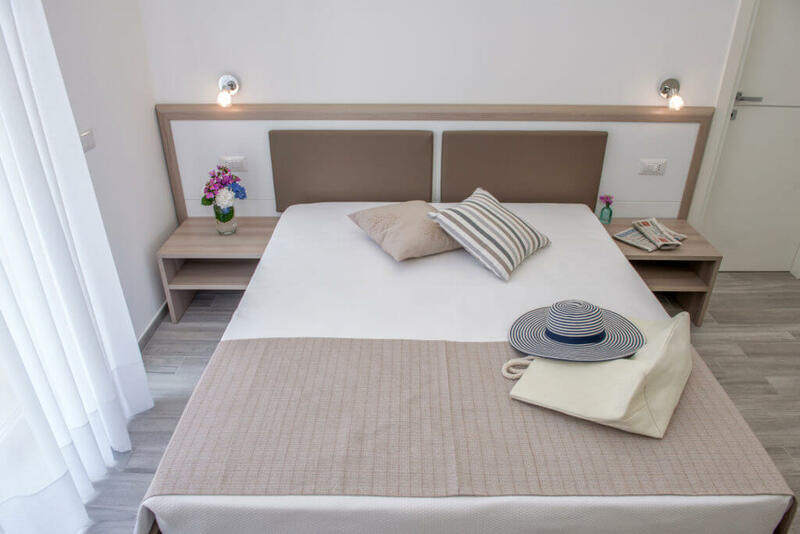 direct booking at the best price! 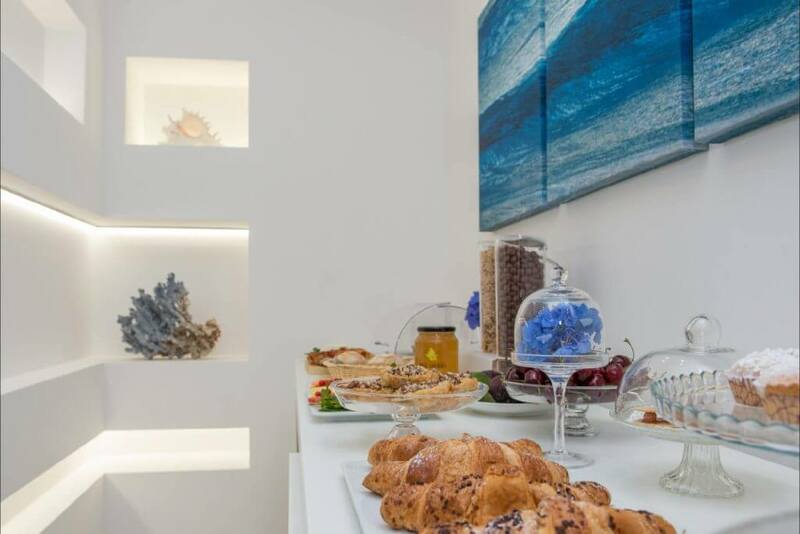 Your dream "a step from the sea"
The b & b that will welcome you and offer you an unforgettable stay in Vieste. 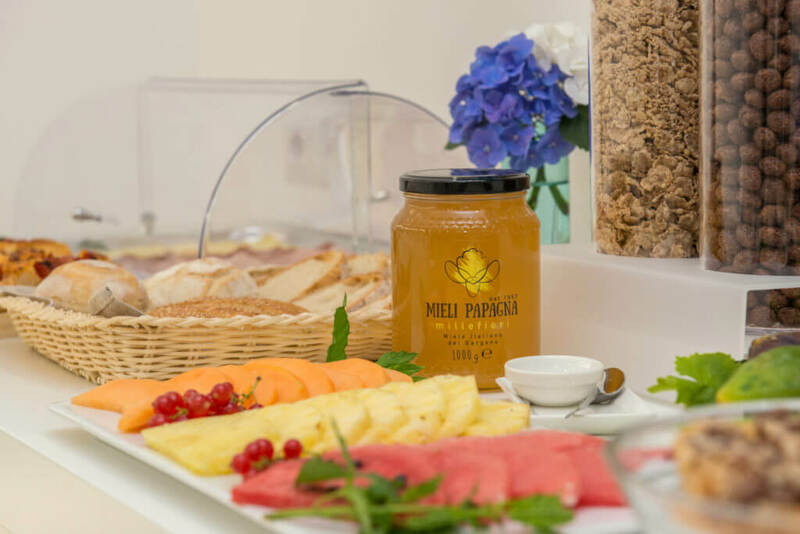 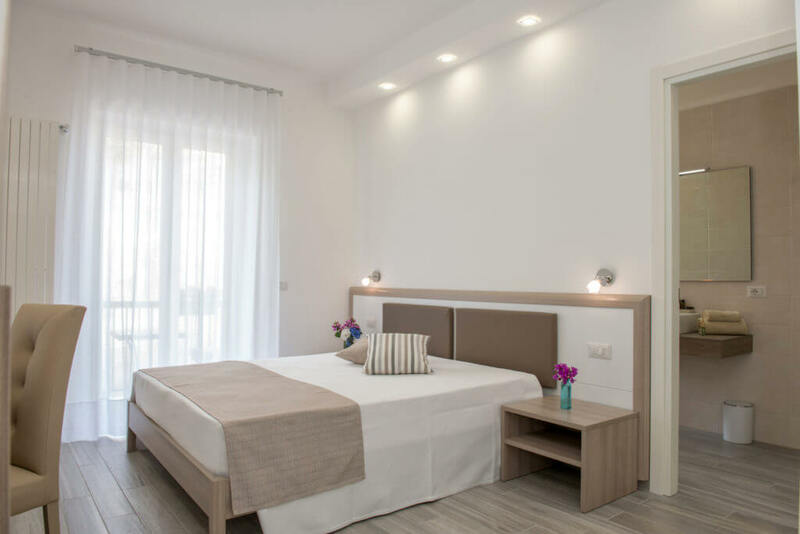 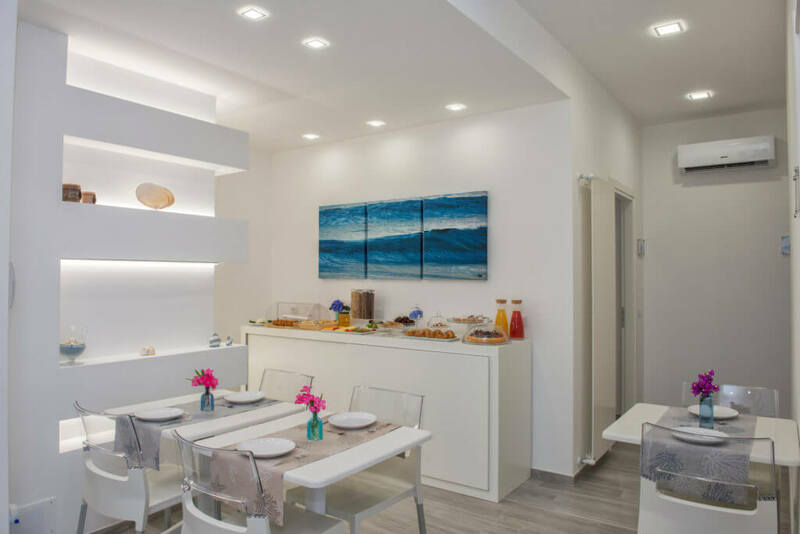 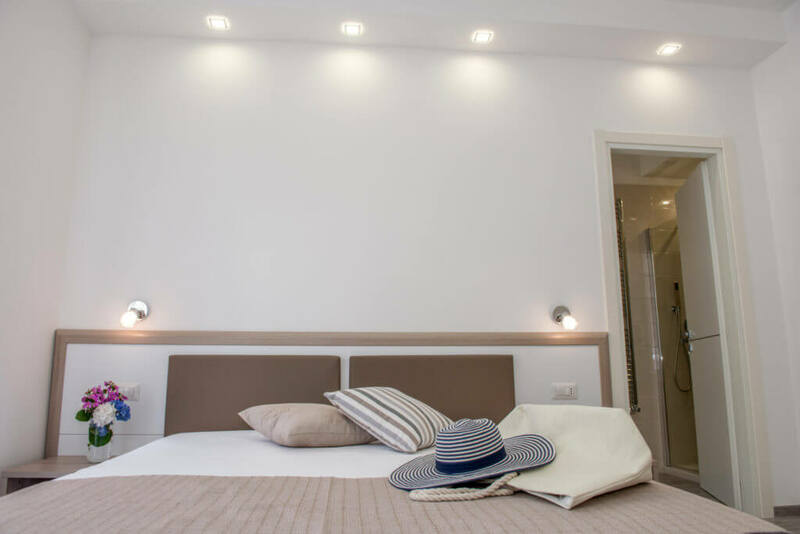 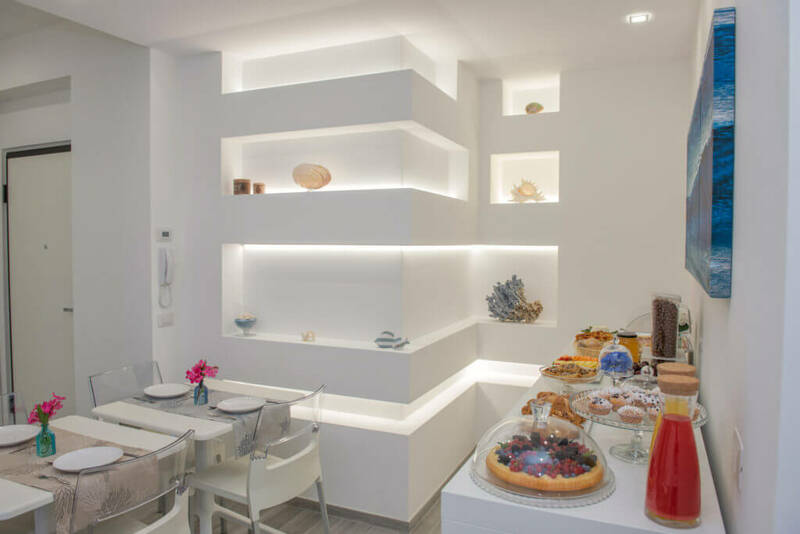 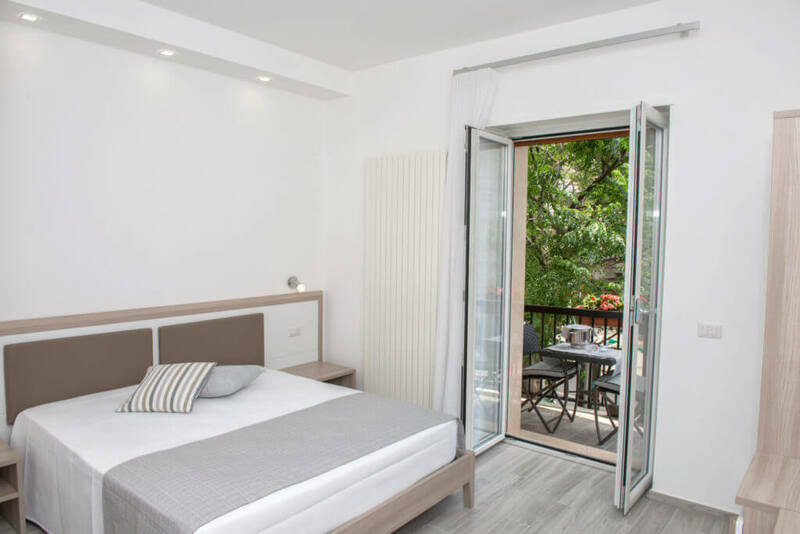 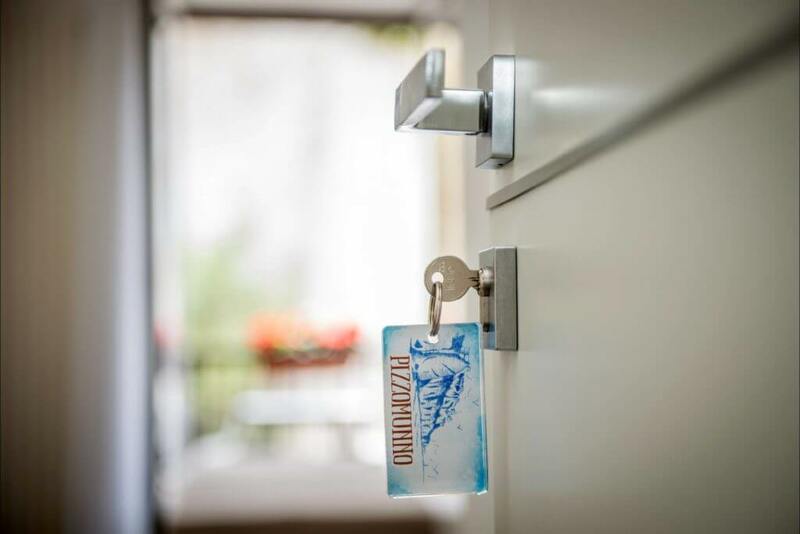 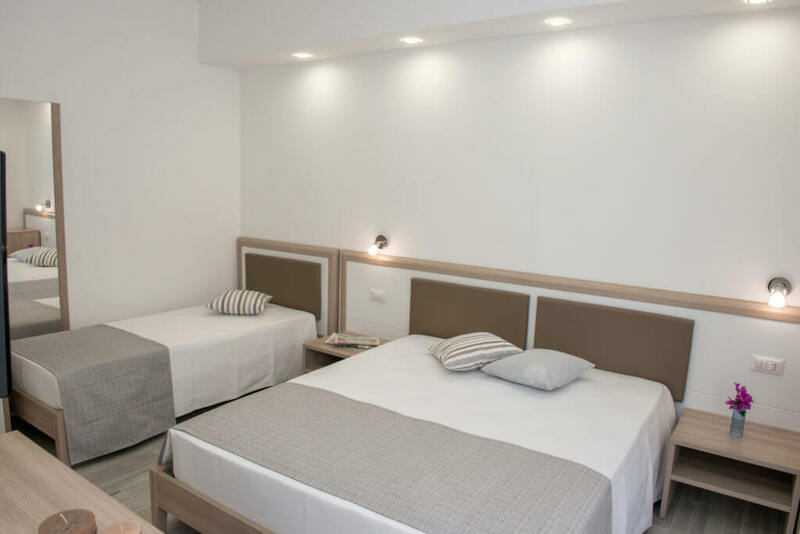 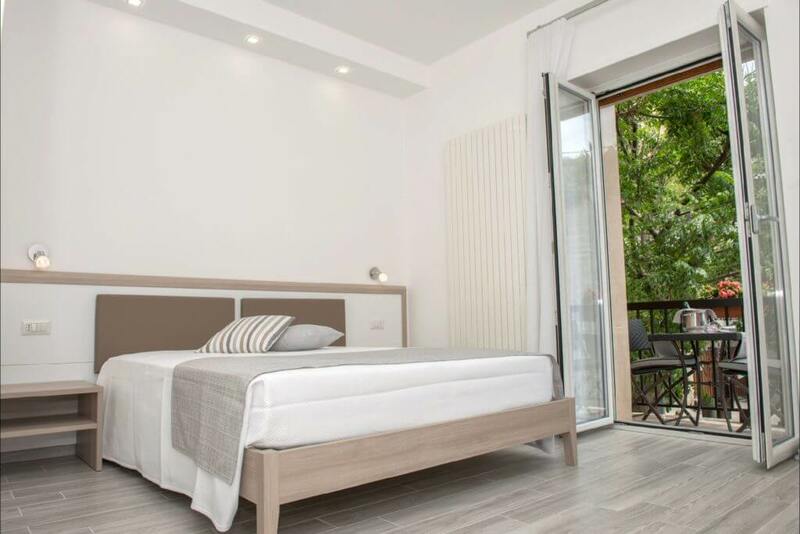 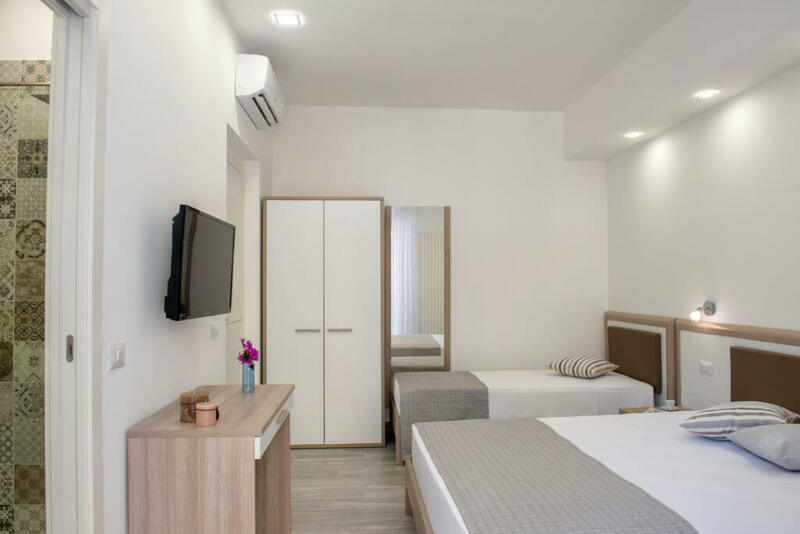 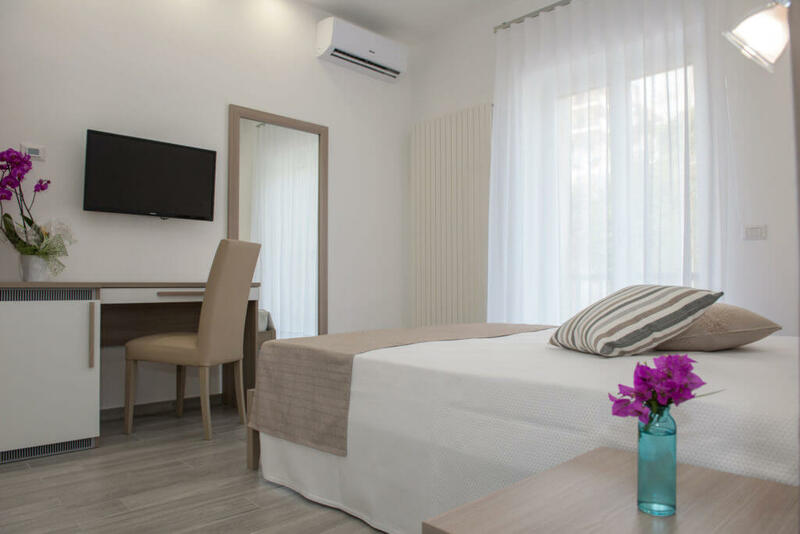 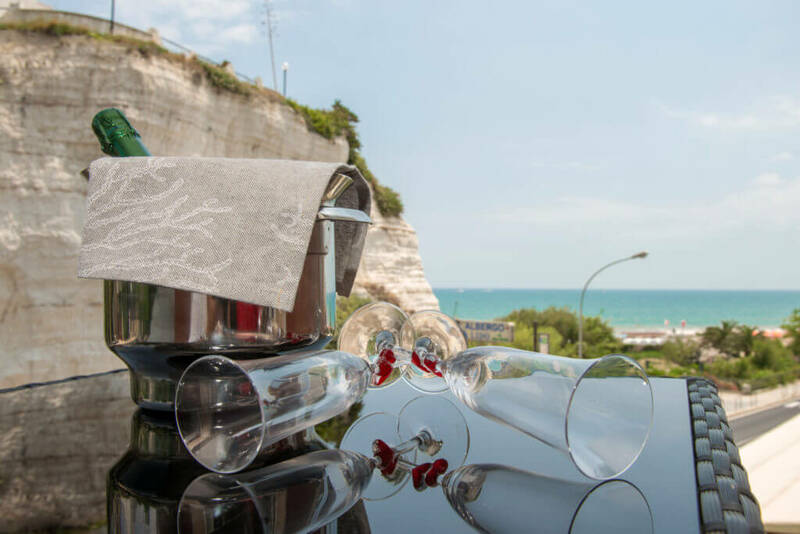 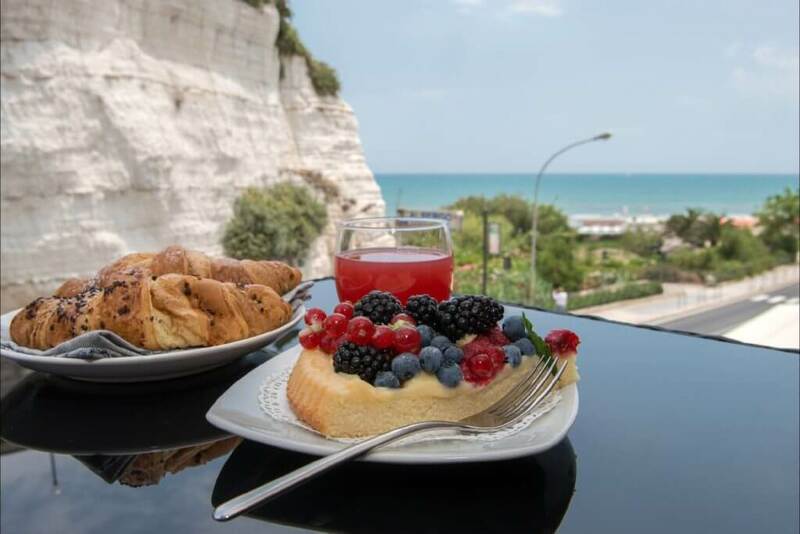 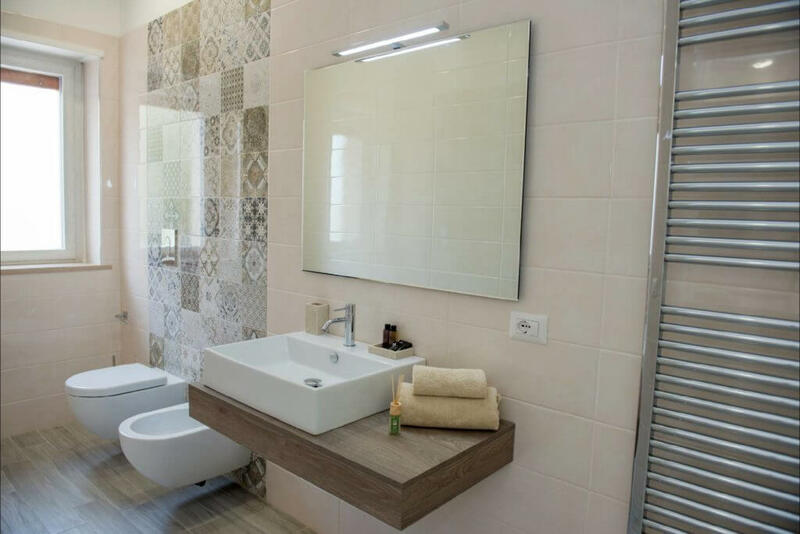 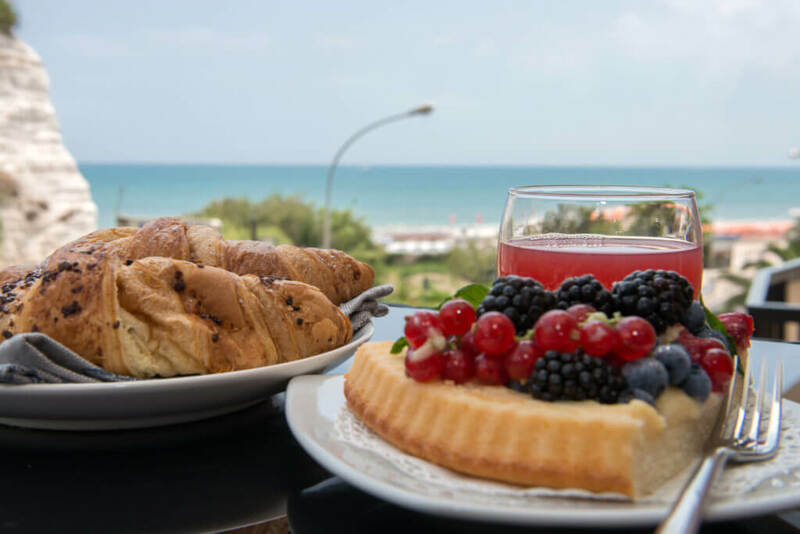 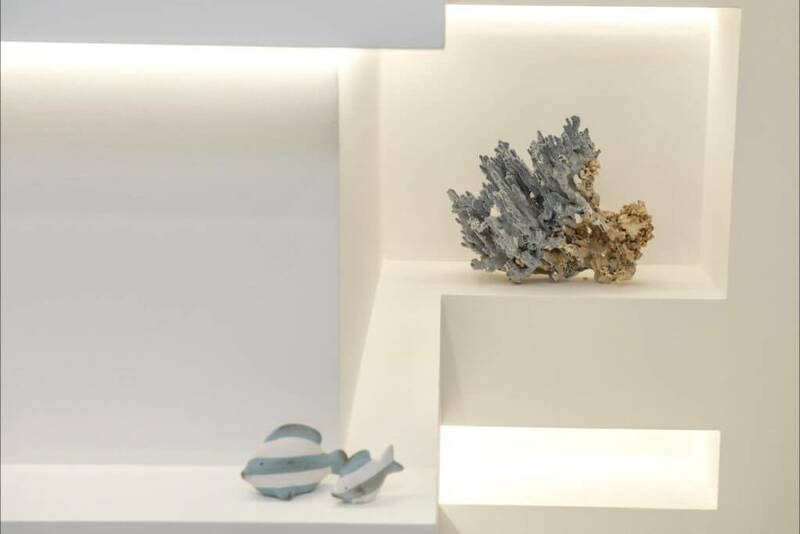 Born recently on the first floor of a building on the seafront of Vieste, appreciated for its long sandy beach, is designed to guarantee the best for a holiday on the Gargano. 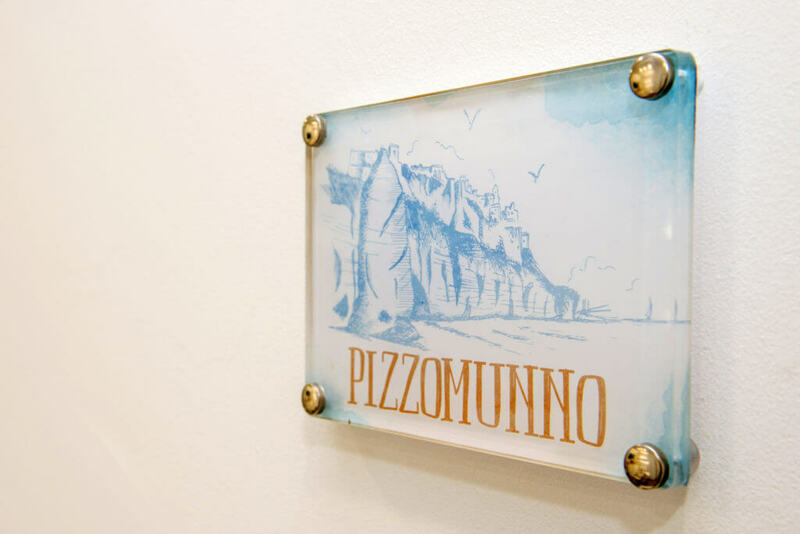 Opposite the Pizzomunno, the monolith symbol of Vieste, you will discover that the B&B is also a step away from the center: with a few minutes walk you will be on the main road and you can reach the medieval village. 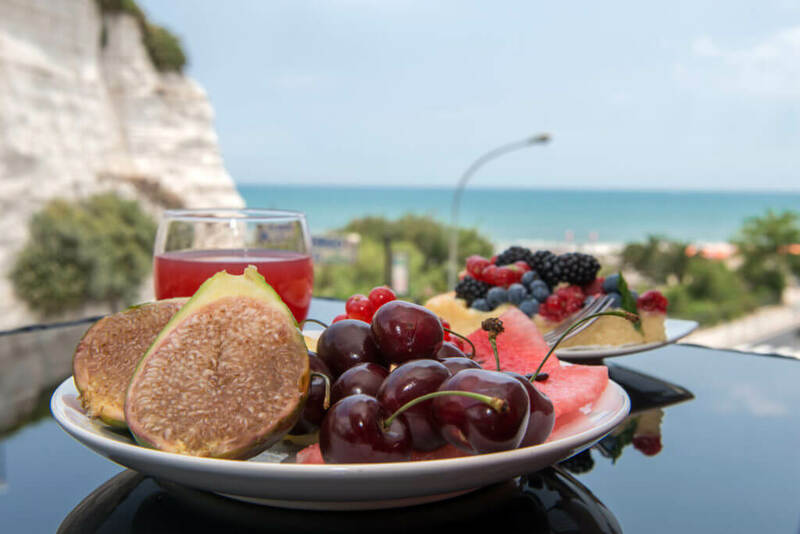 everything tells us about Vieste! 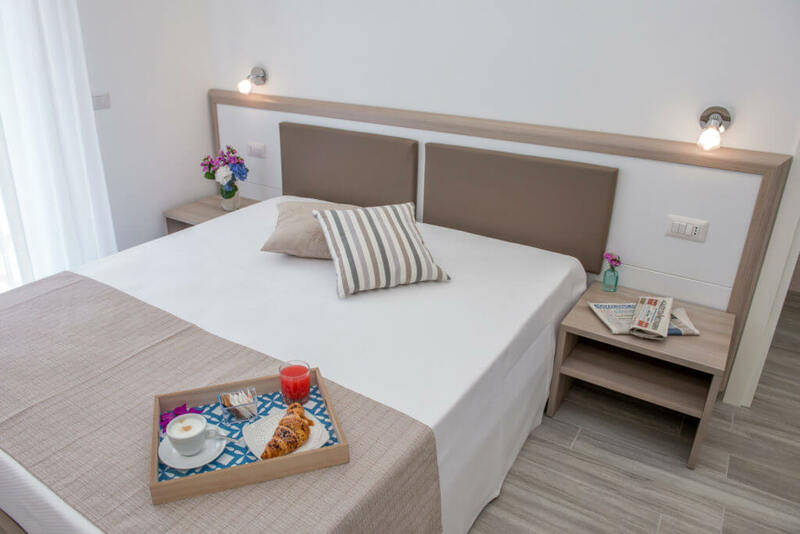 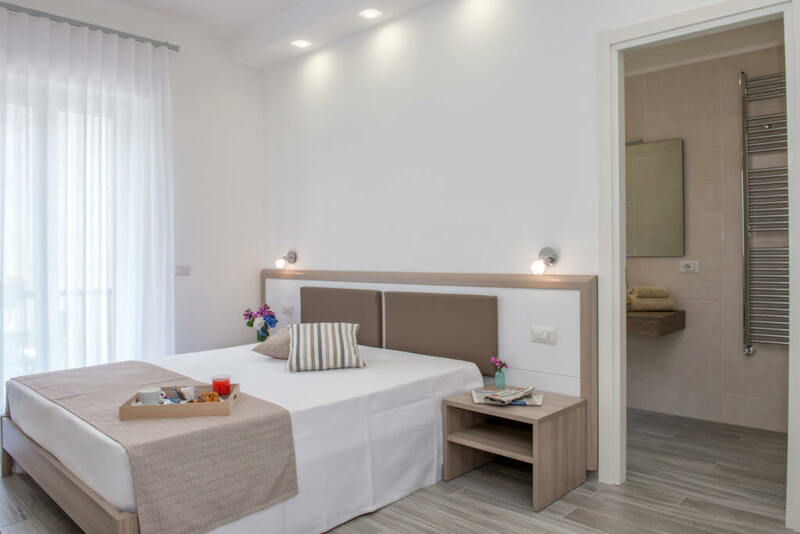 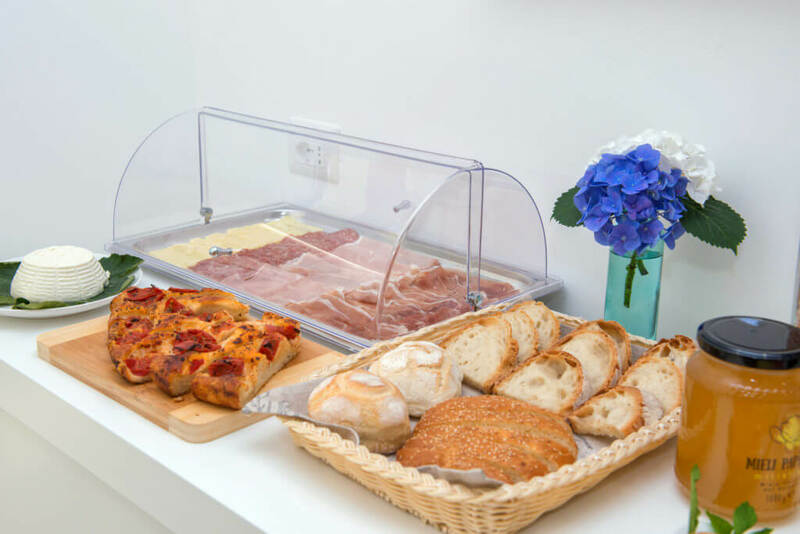 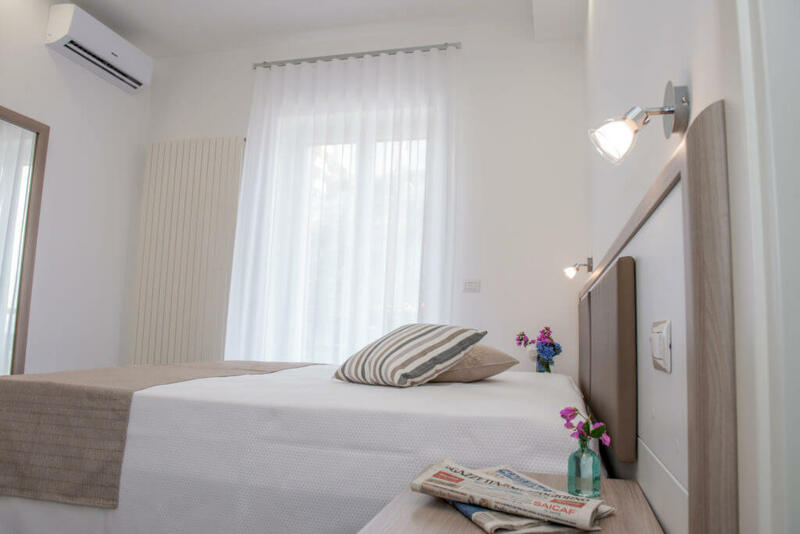 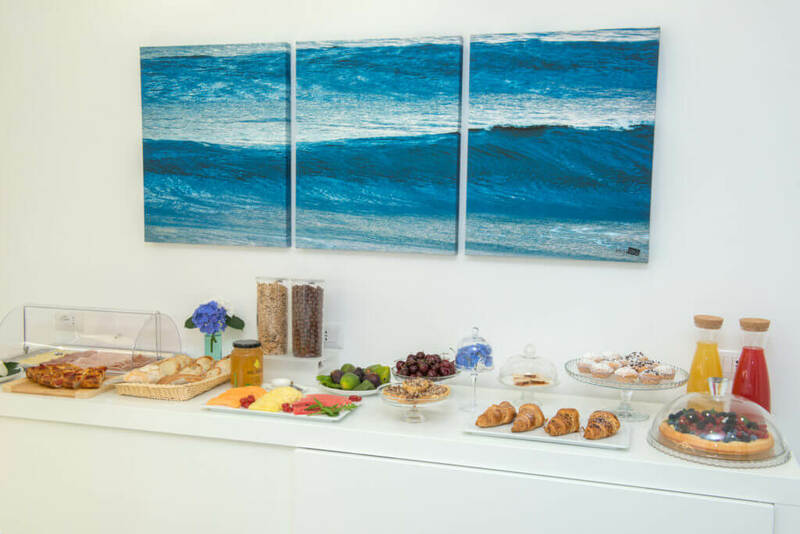 The b&b “A un Passo dal Mare” will welcome you in spacious and refined rooms. 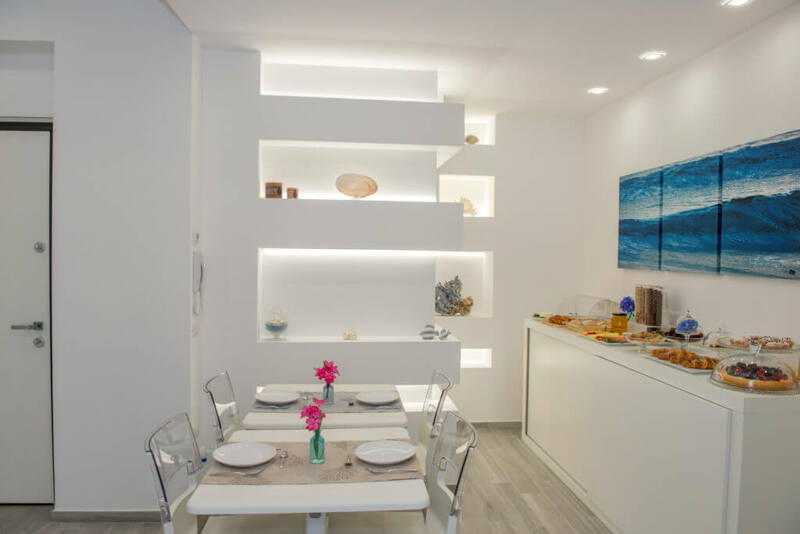 The white furniture reminds us of the cliffs of our coast and the intense sun that makes everything shine. 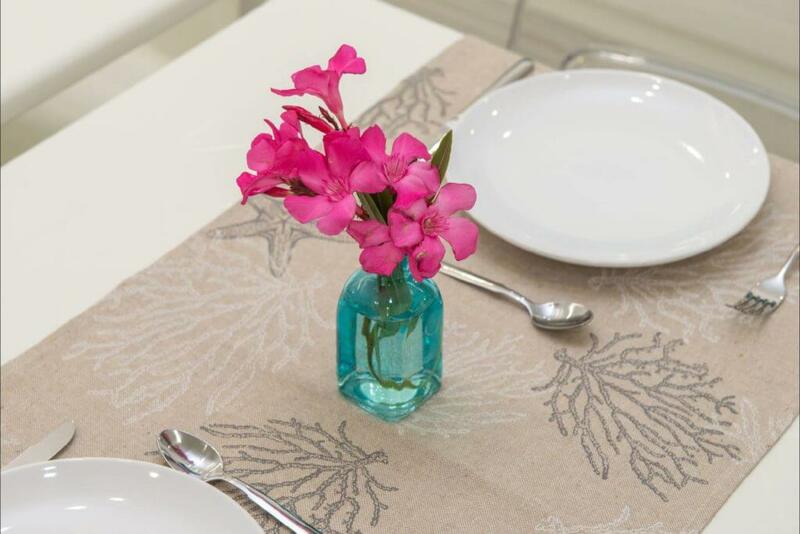 The shades of blue of the details are those of our sea. 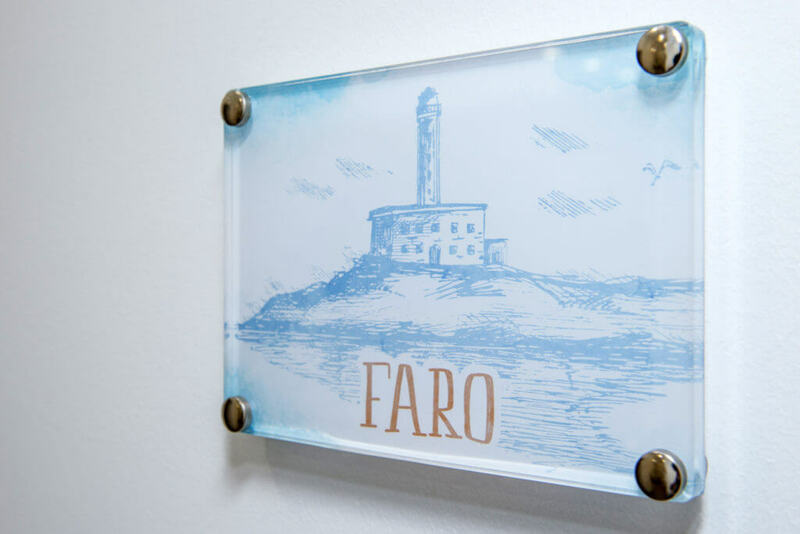 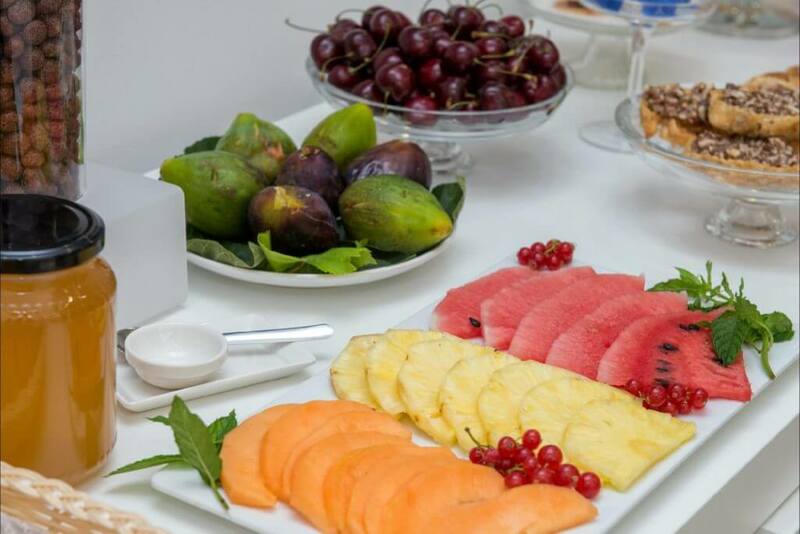 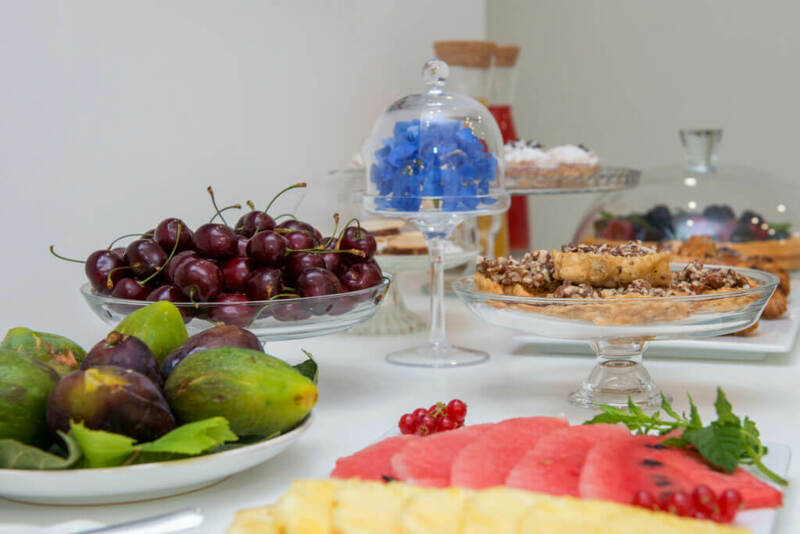 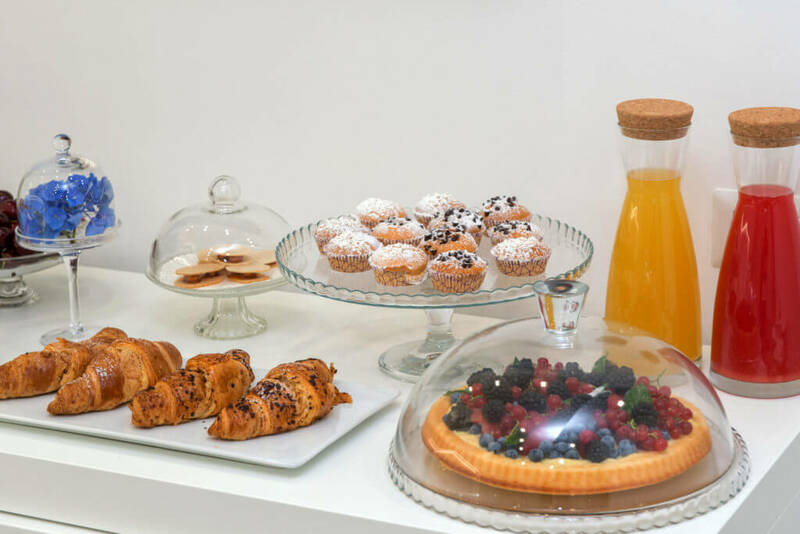 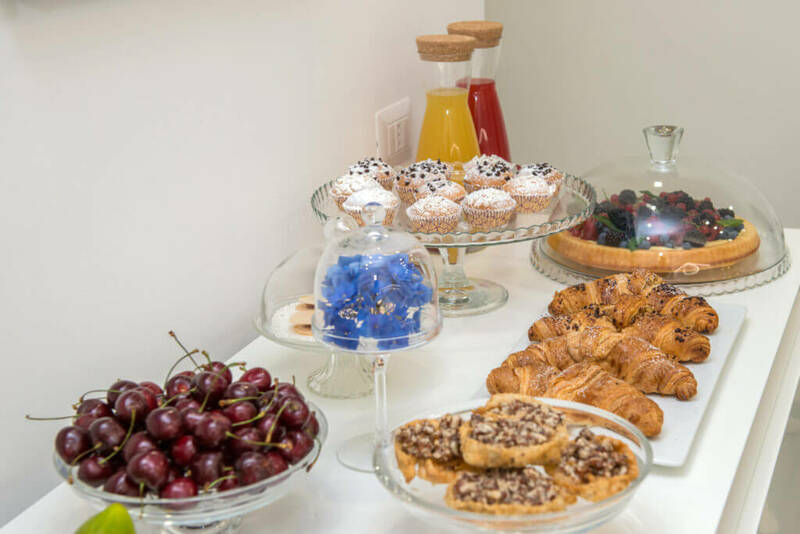 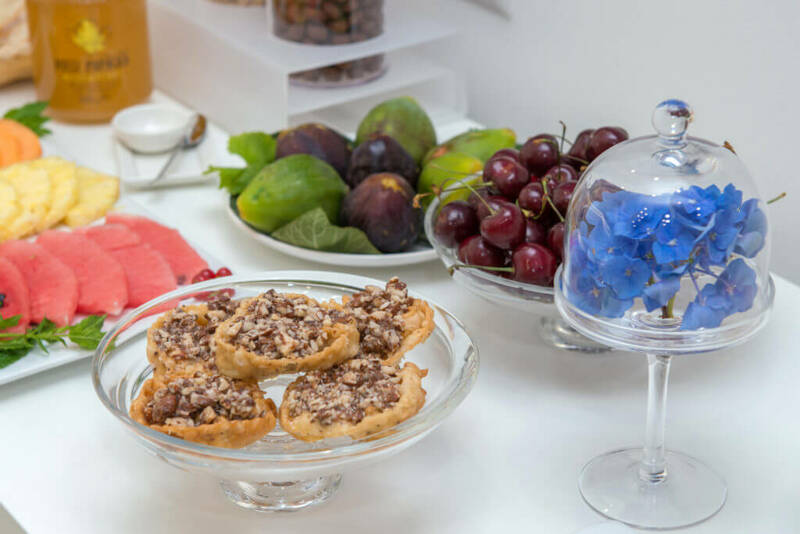 Flora and Gaetano’s hospitality is the warmth of our land. 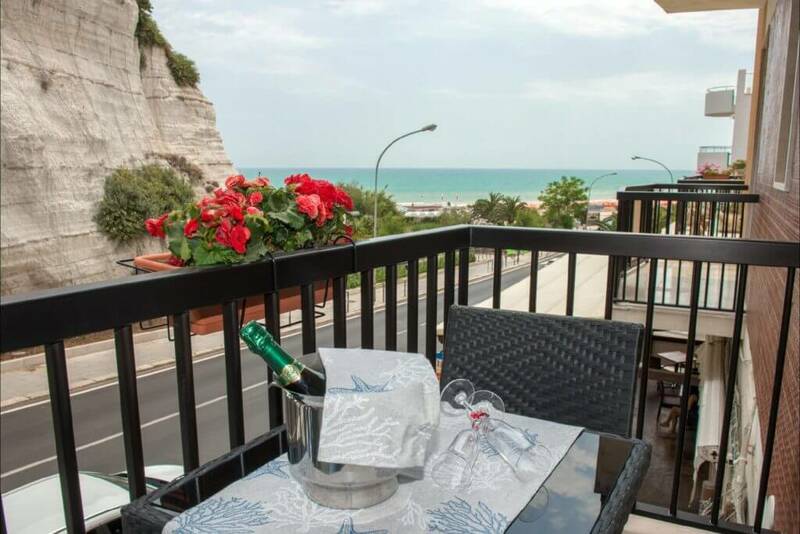 A place that is what it says to be: the sea view of some rooms is not a distant mirage, just cross the road and make a few meters to enjoy the sea. 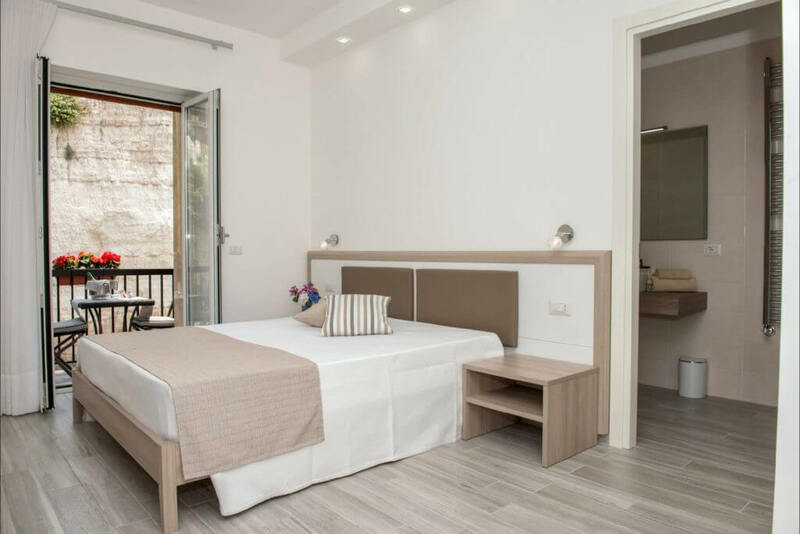 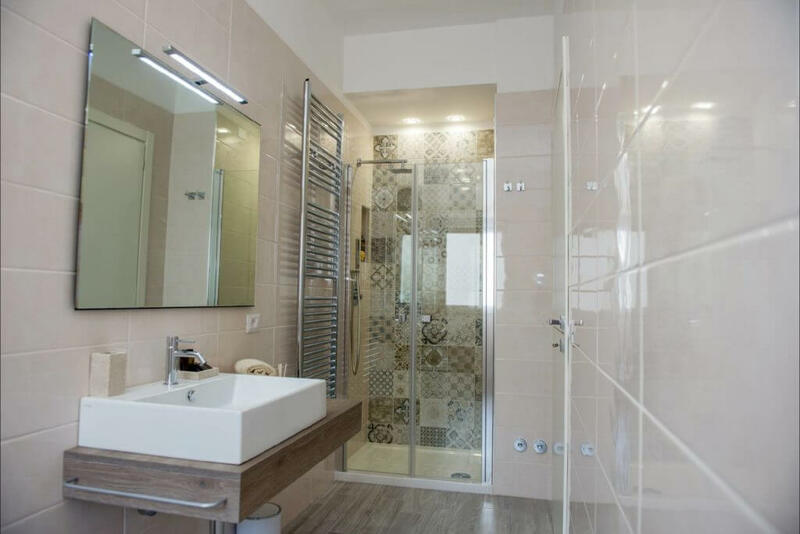 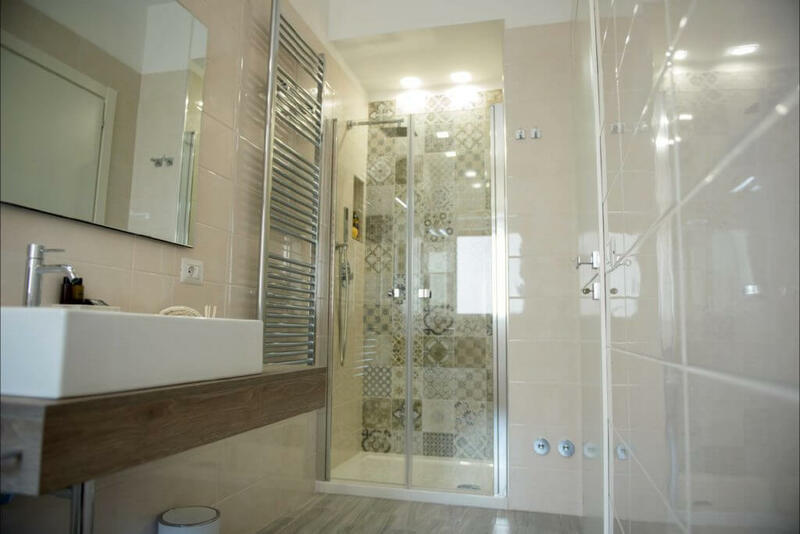 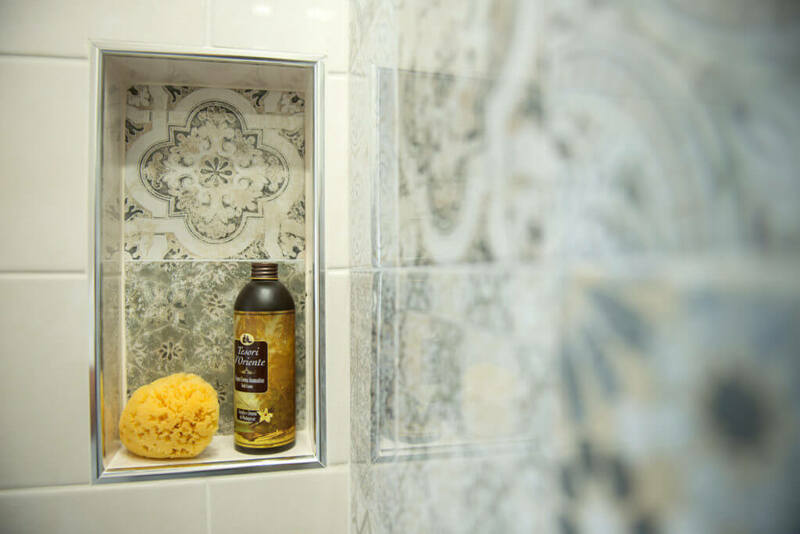 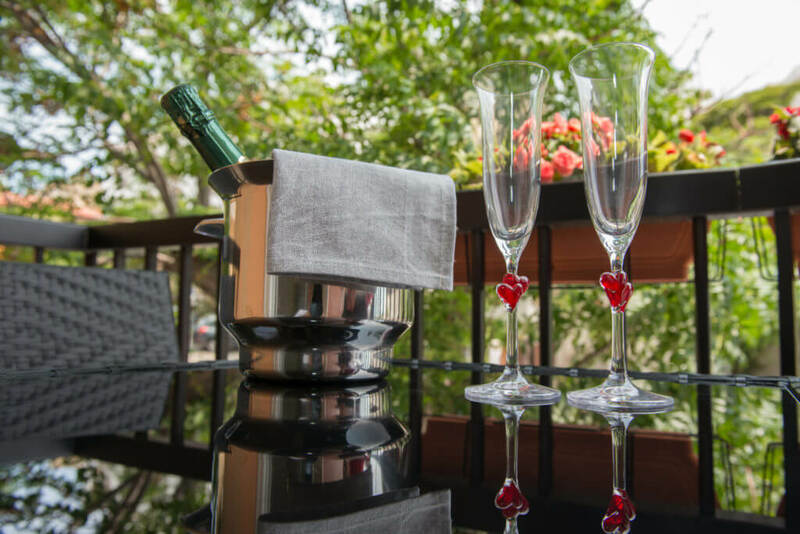 The double rooms are all equipped with private bathroom with shower and a small terrace with table and chairs. 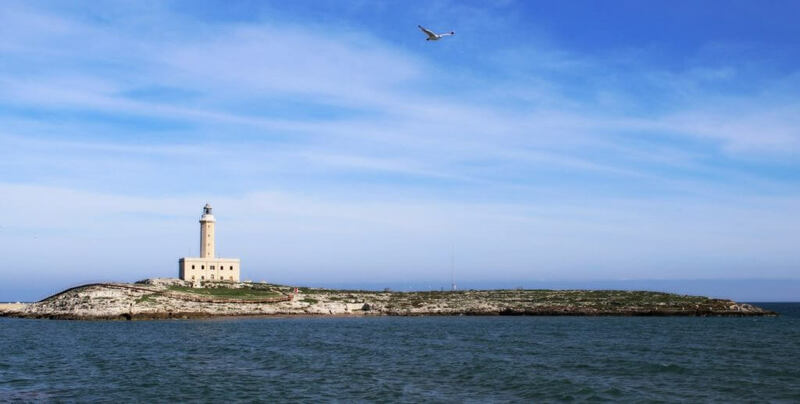 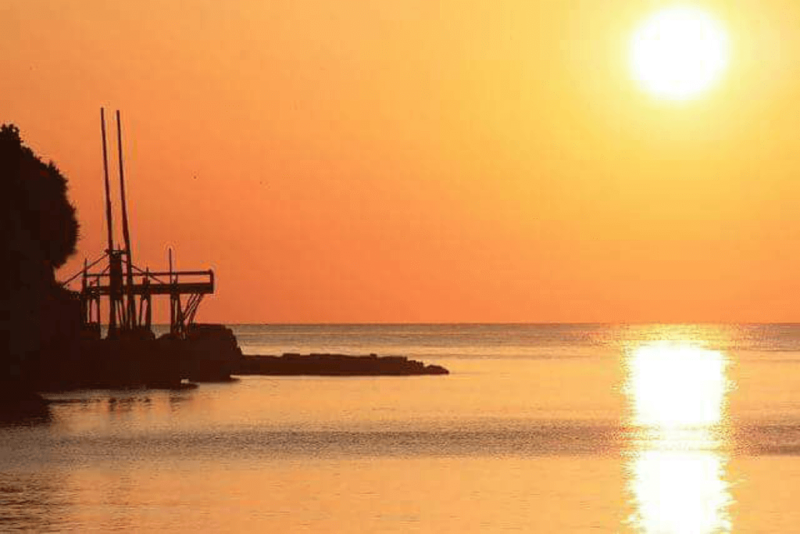 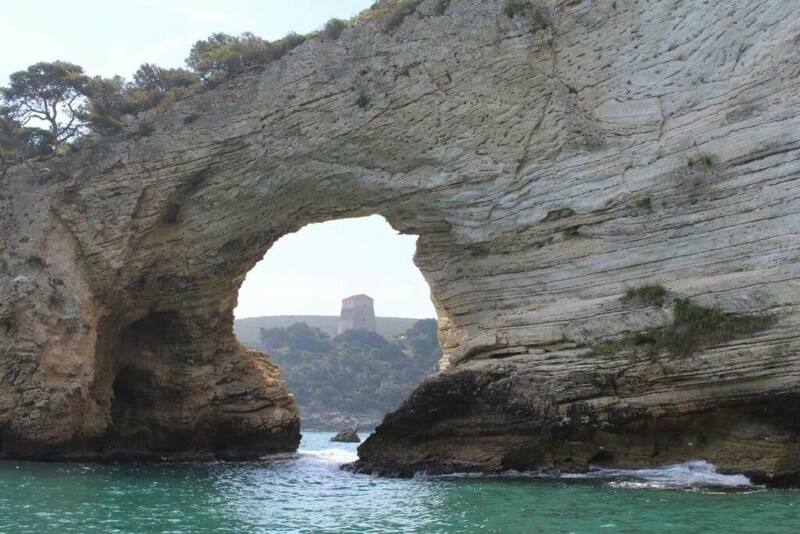 Discover Puglia, fall in love with the Gargano! 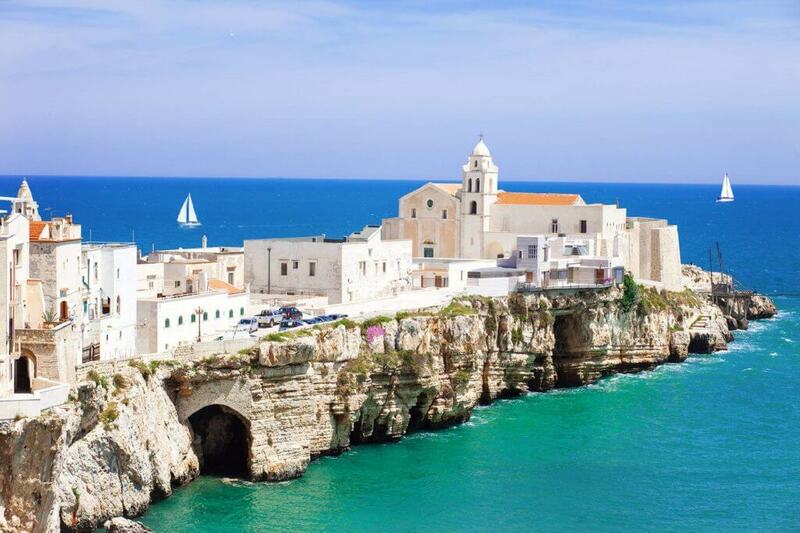 We are in Vieste, one of the most representative destination of the Puglia. 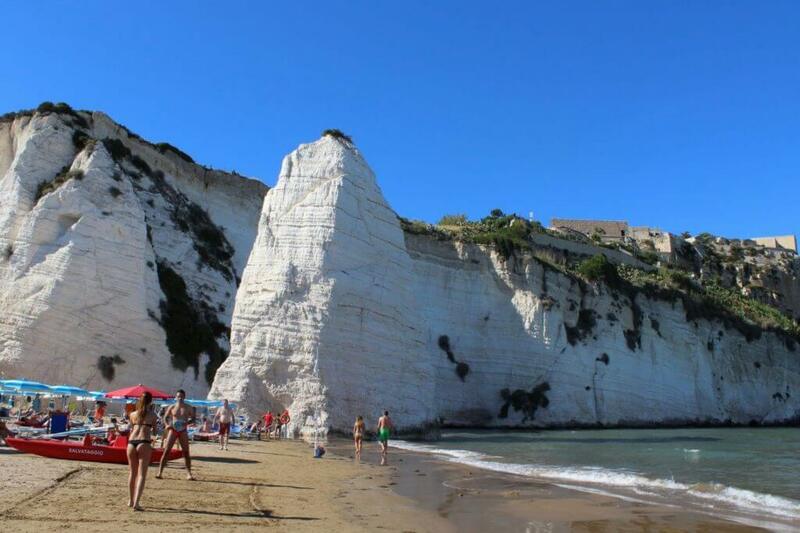 Flora and Gaetano are available to to guide you to discover the Gargano. 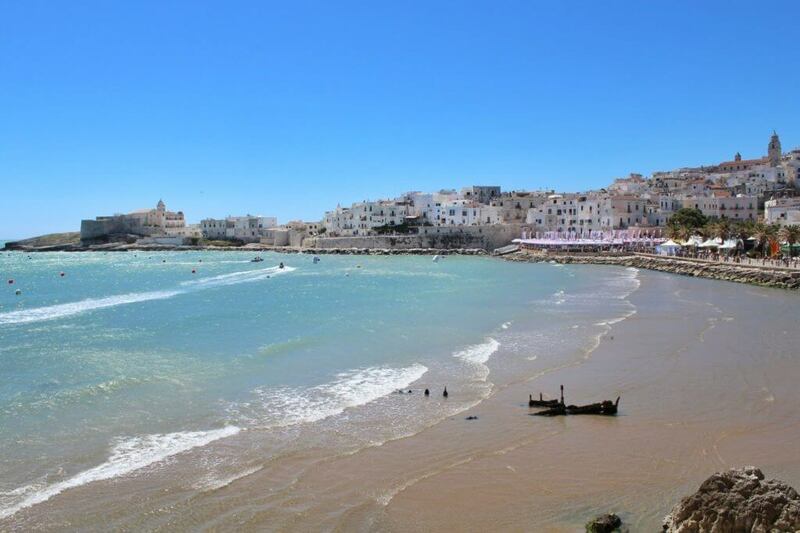 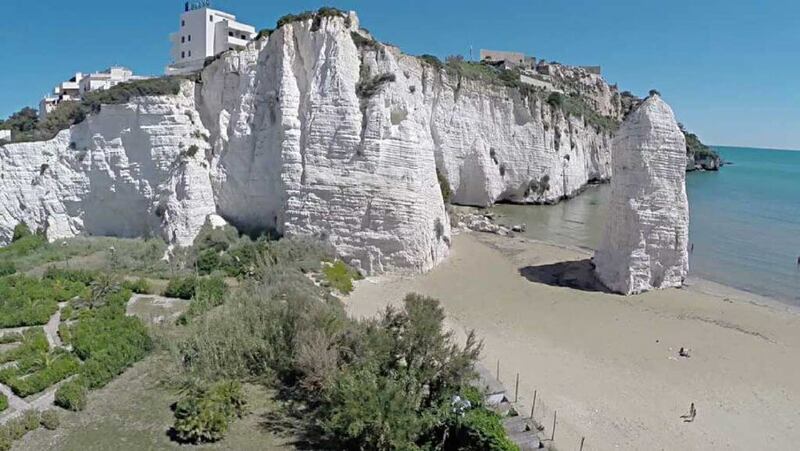 Vieste boasts a long coastline of golden sand, interspersed with rocky stretches. 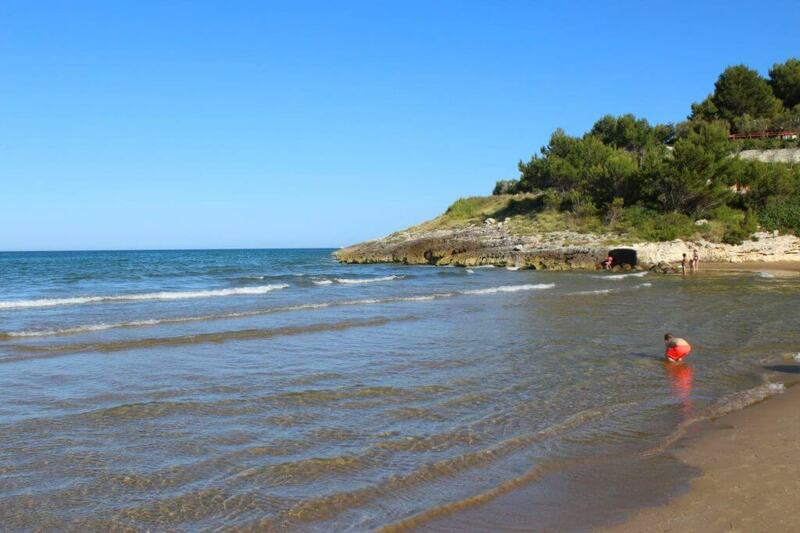 Along the coast you can admire the trebuchets, ancient fishing tools made of wood on the rock. 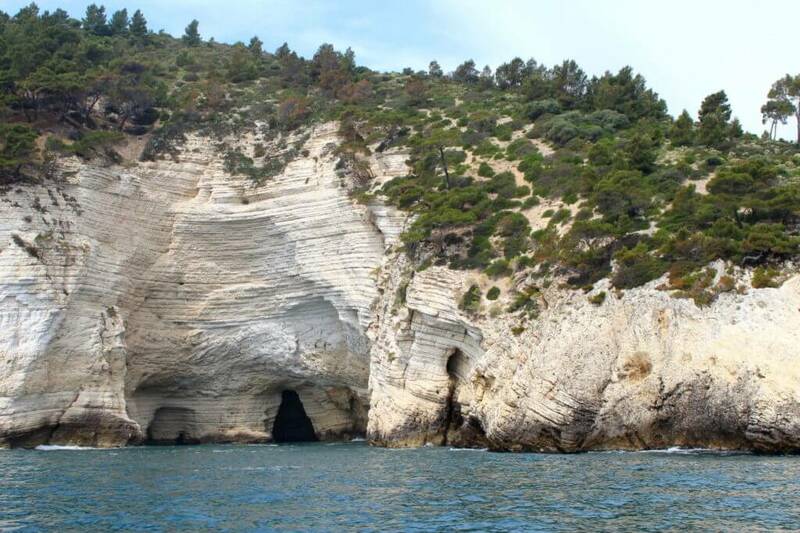 The south coast is full of very suggestive inlets, so we recommend a boat trip to the sea caves. 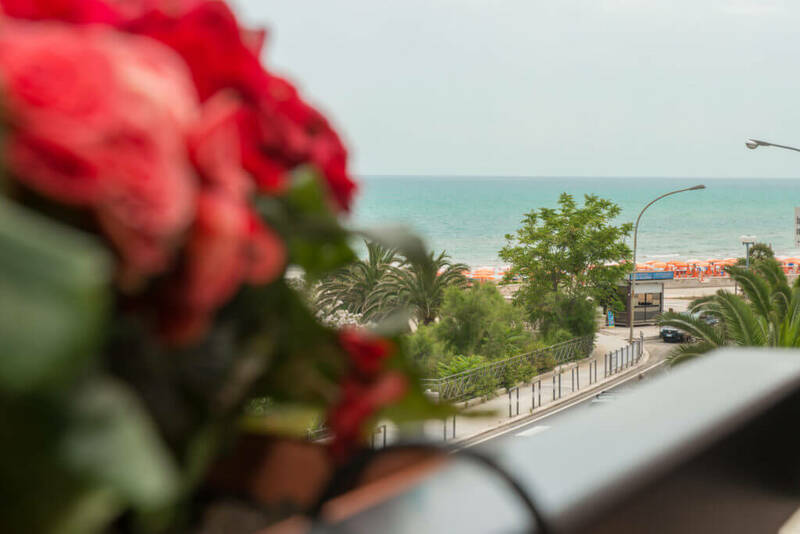 Vieste keeps intact the old town center: a magical place that in summer is filled with shops and restaurants, but always manages to give glimpses of great charm. 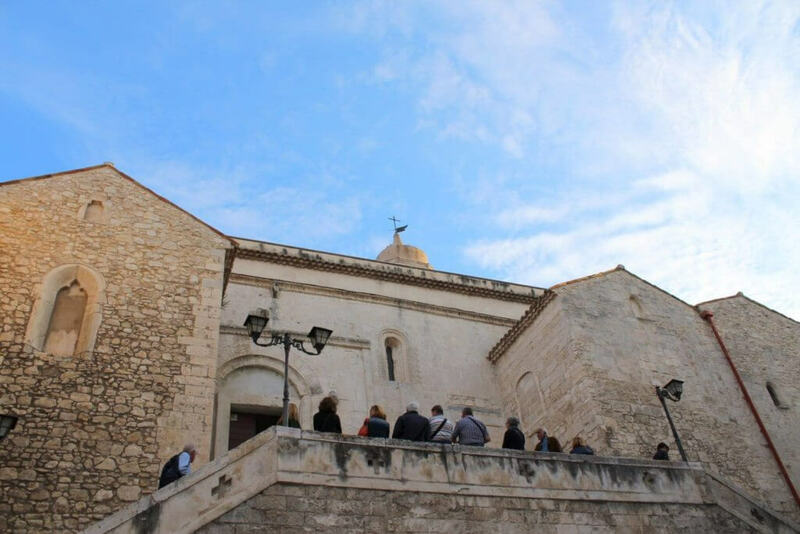 Between steps, narrow streets and balconies full of flowers, you will see the castle of Frederick II, the Cathedral, the squares with a view of the sea and the church of San Francesco. 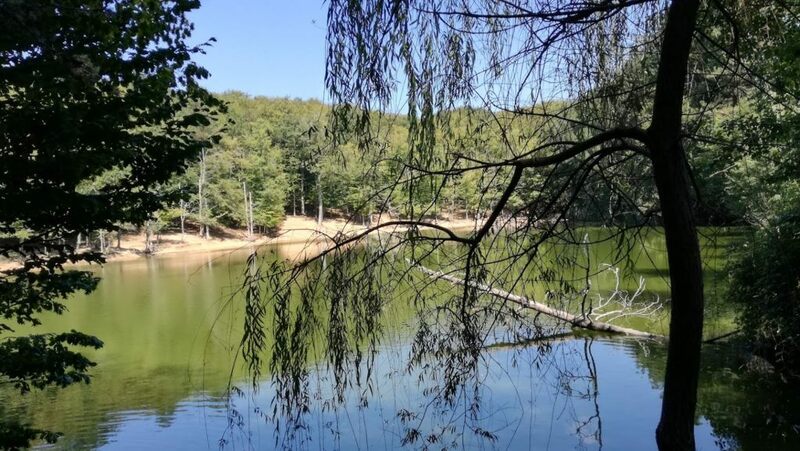 Moving away from the center, however, you can visit the Umbra Forest, Unesco heritage. 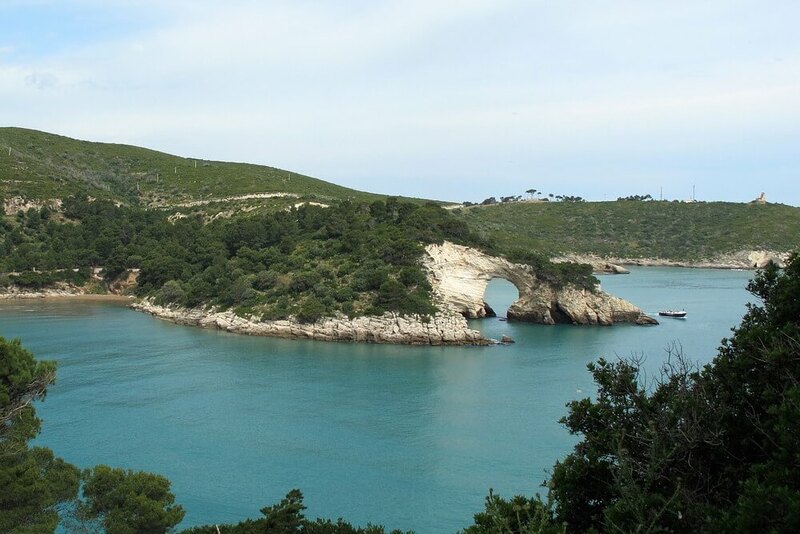 The Gargano National Park is a territory full of history and with an enviable nature. 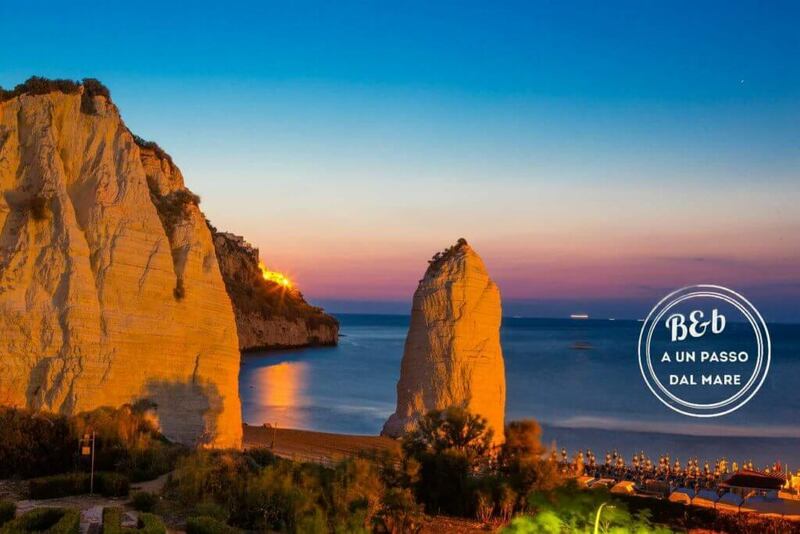 The Tremiti Islands, Peschici, Monte S. Angelo with the sanctuary of S. Michele Arcangelo (Unesco Heritage), the bay of Vignanotica and the stacks of Mattinata, the basilica of S. Maria di Siponto and the sanctuary of San Pio da Pietrelcina in San Giovanni Rotondo are worth a visit.